Playing regular slot games provides a lot of entertainment and winning opportunities for players to enjoy. The fact that slot games experienced massive growth in online casinos since its inception it’s no news to any gamblers ears. But if players who are familiar with the wheels of a slot machine mention the term I-slot the casual thought of it being another slot game pops into the minds of players who are not familiar with the machines. We would like to bring to your notice today that I-slot is not another slot game but rather another type of slot machine. I-slot was created by Rival Gaming software platform and provides lots of entertainment and unique gaming experience, unlike normal slot games. I-Slot can be regarded as a different type of slot game because of the storyline feature it possesses. Gambling at a slot machine provides you with a lot of opportunities based on the theme of the slot game, most slot game doesn’t usually possess a beginning and end because it was created for continuous play, lacking any real sense of final glory at the end of the adventure. 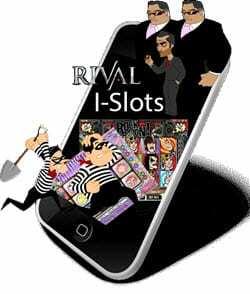 Rival gaming made it a priority to create something extremely different which led to the creation of the interactive slot machines. I-slot machines are created to follow a particular storyline, making it hard for players to get bored of the game even if the reels are not spinning in their favour. 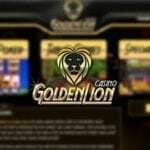 The gaming platform provided by the I-slot machines is similar to the platform provided by a PlayStation game. It might not be able to compete in graphics or drag your attention the way a PlayStation game does due to the fact that you would be cautious of the money being spent but the gaming experience I-Slot games provides would leave you asking for more. Most I-slot games put the players in the mode for action with a start-up story introducing the tale behind the game. You would get the opportunities of making a lot of important decisions as the game unfolds. 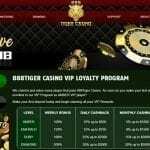 A lot of intriguing bonuses and in play features which would help you accumulate a good deal of funds are provided in the game. Hop on an I-slot wheel today and enjoy an unforgettable adventure.